Simple black and white layout doesn't distract the customer from main goal of his/her visit. The most expensive watches are demonstrated in slider together with brief description and Shop now button. Two banners also promote store products. Featured products are offered in neat five column structure. On hovering each item, tooltip with watch details appears. 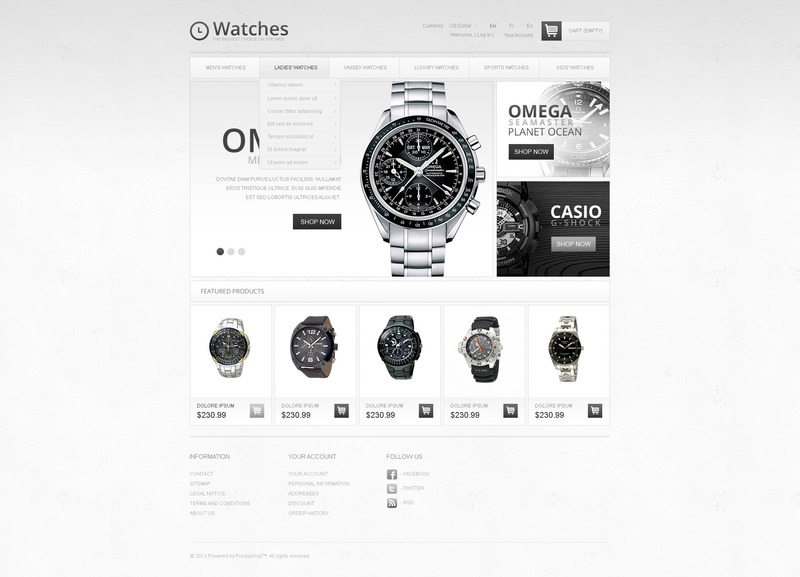 Use this theme for watch shops, jewelry and fashion stores.